@murtaza This only happened in the new version (1.20). But after I updated 1.201 it was fixed. @murtaza I'm guessing this update fixed the issue I was having with hyperpad going to the project screen when I tab to another app and then back again? RE: .tap file - HOW TO INSPECT and DISSECT... then re-open? 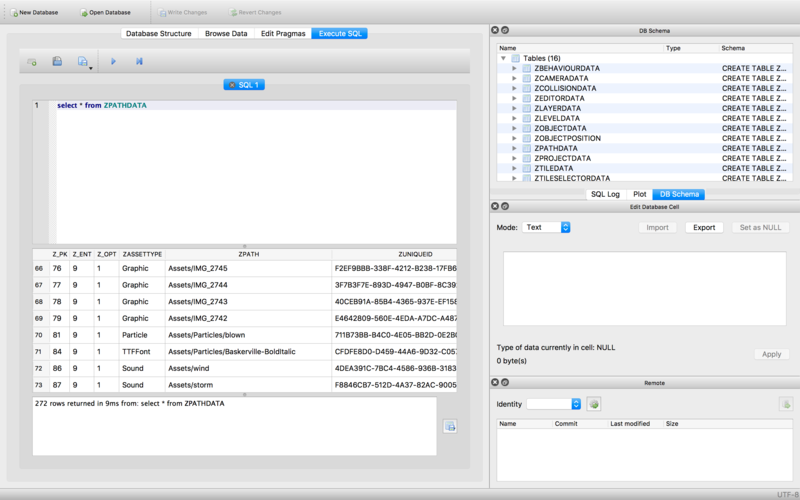 DB Browser on the mac can open sqlite files. a receive message behavior in the label and bubble and a broadcast behavior in the plus button! @iTap-Development Not using a server. This is for a game idea I had. Feel free to use it for an actually messaging system if you want to. @Andrey-Ghost THANKS! I'm going to study how this works. @Andrey-Ghost Hi. Could you send the project to thetutorialdoctor@gmail.com? I'd like to see how it is set up more clearly. Thank you. I've been at it all day trying to create a text messaging type project. In the following project I want to use a text input box to create new text messages that scroll up with the text box. Switching the two spawn be saviors doesn't makes either the text or box scroll up (not both). Although I am at a point where I can spawn new message labels. What am I doing wrong?